It’s back to work as usual after returning from the Nonprofit Technology Network‘s (NTEN) Leading Change Summit (#14LCS). I’m all caught up on social media news and with the updates below, you will be too. 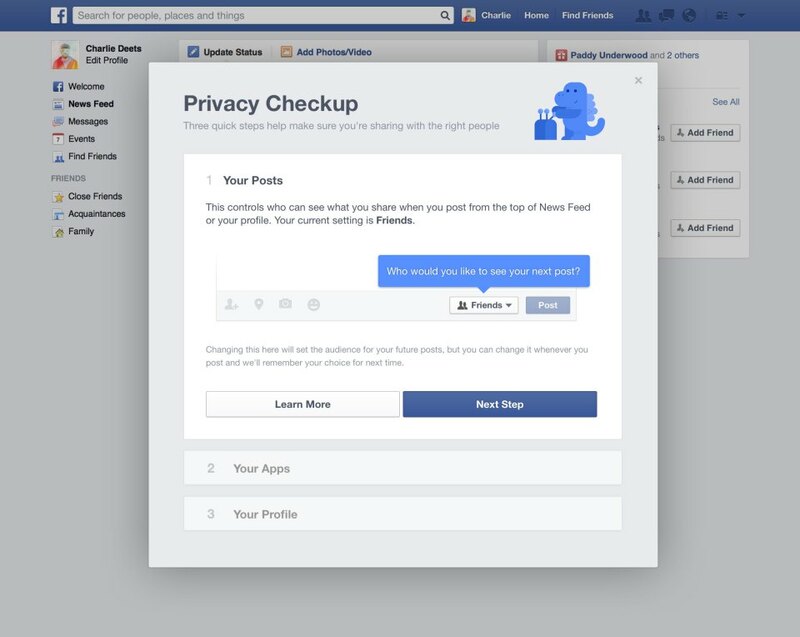 Facebook Launches Privacy Checkup: Facebook has begun to prompt users to review their privacy settings. The prompt takes users their their post, app, and profile settings. If you’re not making a habit of checking your privacy settings on a regular basis, this is a great opportunity to do so. Users who haven’t been prompted to do a privacy checkup, will be soon. LinkedIn Gives Users More Privacy and Data Control: LinkedIn is currently rolling out three new features to give users more piece of mind when it comes to their privacy and data. The first tool will let users see every device they’ve signed into their account from and turn off any sessions of their choosing. The second tool will let users export their data, including “updates, activity, IP records, searches, and more.” The final tool will provide more information to verification emails when security settings are changed, namely stating when and where those changes happened. Twitter Simplifies Tweeting from Account Profile Page: Twitter just designed another way to tweet to other user accounts and it takes place from user profile pages. When visiting another user’s profile page, a “Tweet to” button is now visible on the left-hand navigation area. If you and the other user follow one another, two buttons, one for tweets and the other for direct messages, will appear.